This wardrobe is part of the Pierre Cardin line that features shapes characteristic of the designer’s haute couture and prêtà-porter collections. In this piece, the square is the main decorative element. The objective is to create a feeling of freshness and simplicity. 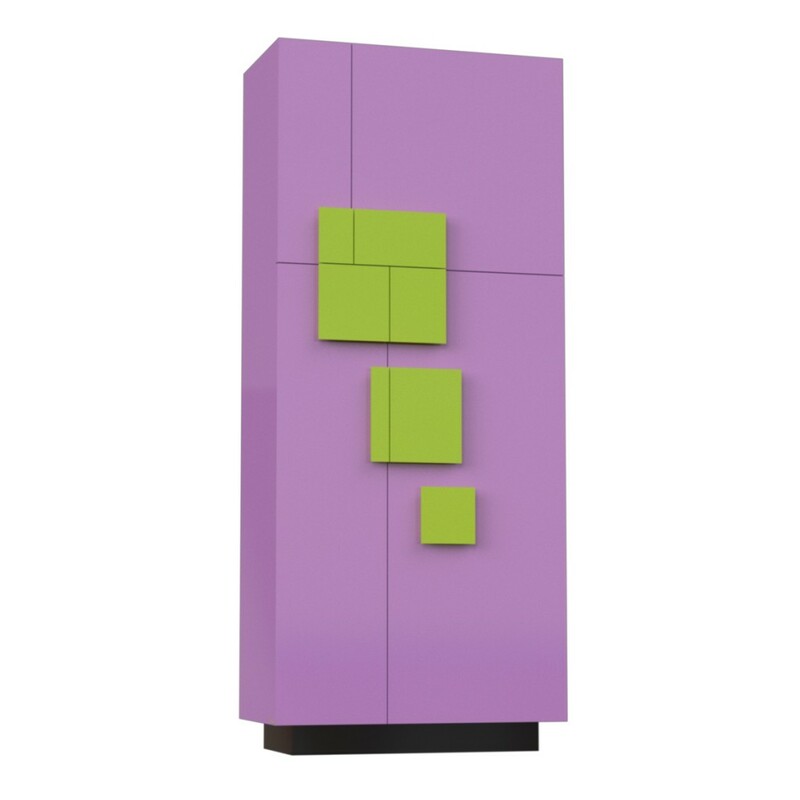 The piece features three brightly coloured squares placed in a simple yet deliberate arrangement on a structure in a light complementary colour. Both of the shades of colour have blue in common, with yellow becoming lime green and red becoming lilac. The wardrobe features four non-symmetrical doors. This creates a pattern of vanishing points that originate in the main square and divide it into four sections, which function as handles. The colour of the interior LED lighting can be changed as desired with a remote control. See the full Enigme series gallery.